I love a good chopped salad. With Portillos being my number one favorite. My second favorite would be a good homemade taco salad. They are so versatile and you can add whatever ingredients you would like and also make it as healthy as you'd like! This can also be made meatless or with seafood for those that follow Lent. I love a good chopped salad too and this looks wonderful! Looks delish! Visiting from the Friday Flash Blog! Thanks for sharing your awesome Taco Salad with us today at Full Plate Thursday. Have a great day and come back soon! I remember the day my mother made Taco Salad for the first time. I thought I died and went to heaven. Salad and tacos all together. What a winning combination! 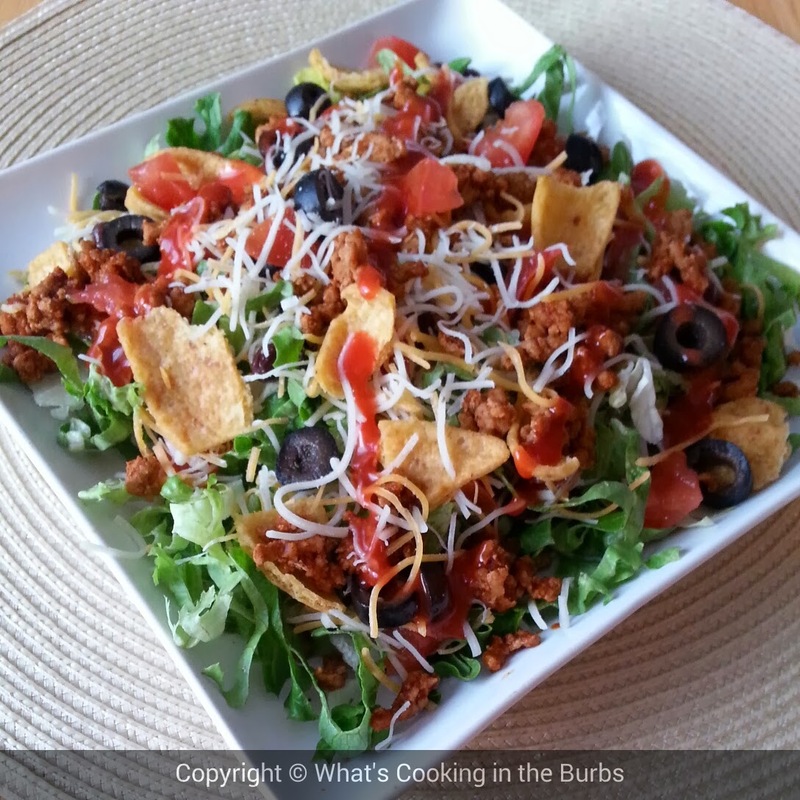 Taco Salad tastes like summer to me. My mom likes to serve it with corn on the cob. Thanks so much for sharing this with our Let's Get Real readers. Everyone should know how great Taco Salad is. I like your seafood suggestion as well. That sounds like a great idea!